I hope everyone has had a safe, warm winter and has been dreaming about beekeeping. It is time to start acting on your beekeeping plans for the upcoming season. 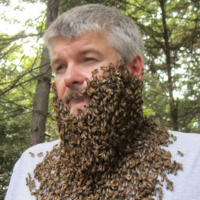 It is also the time where your hives are starting to build up brood as quickly as they can. This means their consumption of stores has also increased exponentially. Weather permitting, you should be checking on them about every two weeks to make sure they have enough food. We will discuss in more detail at our meeting on Monday. Our first meeting of 2018 will be Monday, February 19th. We will meet downstairs at 6:30PM at the Olive Free Library. Hope to see you and hear how your bees are doing. Honey Bees in the Wild - What can we learn from them? Many of my web visitors are soon-to-be beekeepers preparing for their first delivery of honey bees. They have read, attended classes, and talked to other beekeepers. Some write to me with a few last-minute questions. But what they envision and what I foresee are completely different. I was reminded of this beekeeping reality while watching a beginner video on YouTube. While sappy music played in the background, a lilting voice explained that once you become a beekeeper you will embrace nature for the first time! You will become attuned to weather and blooms! You will blossom as a person! Wow. I imagine a barefoot flower child romping through a verdant meadow, a ring of daisies in her hair and a bouquet of dandelions clutched in her fist. 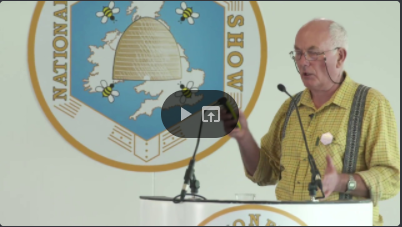 Beekeeping is your entry into a world of peace and love and grass stains. Kumbaya in a box. 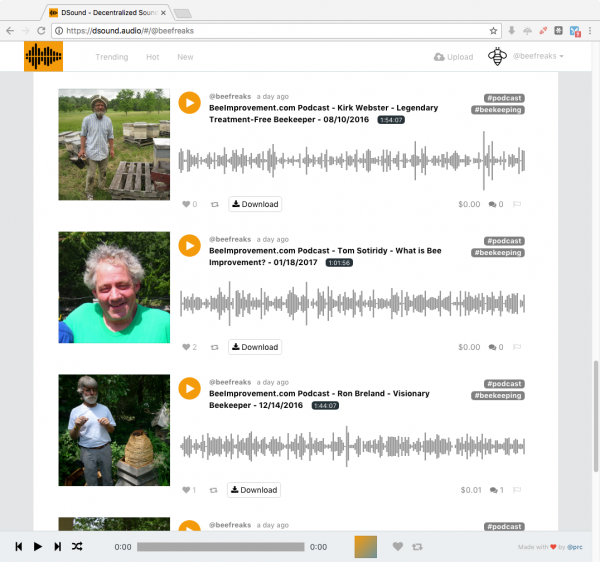 Hudson Valley Bee Improvement podcasts are now available on DSound. Read more about it HERE.